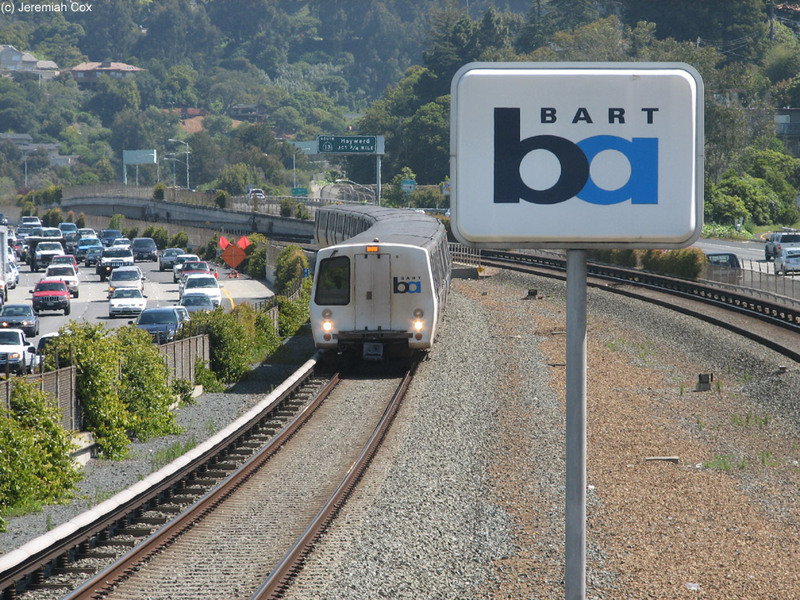 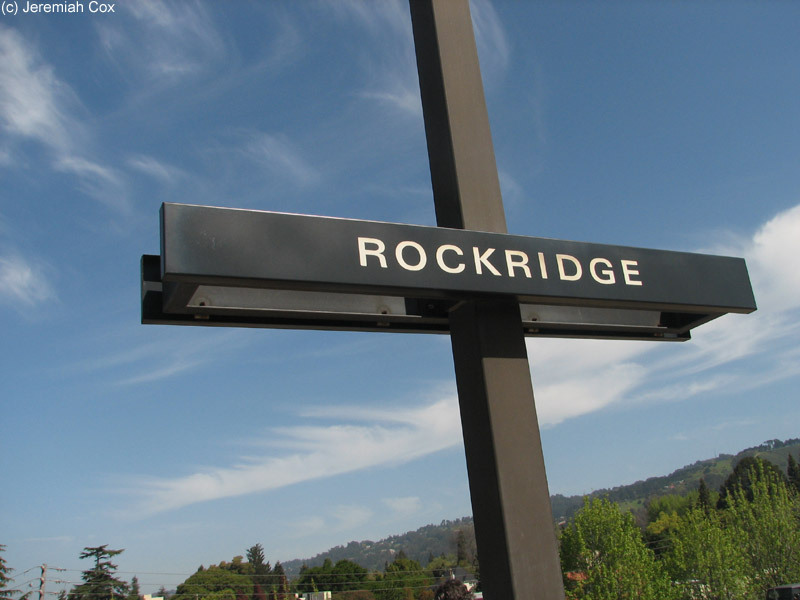 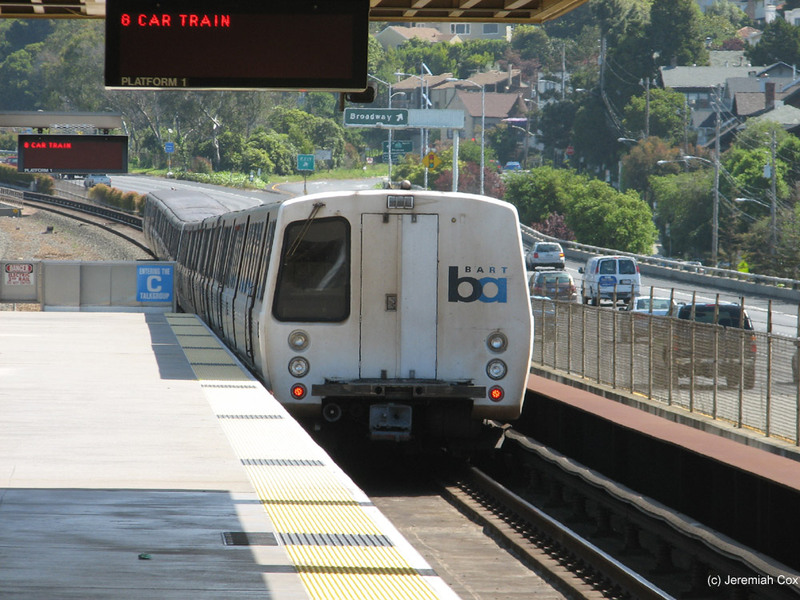 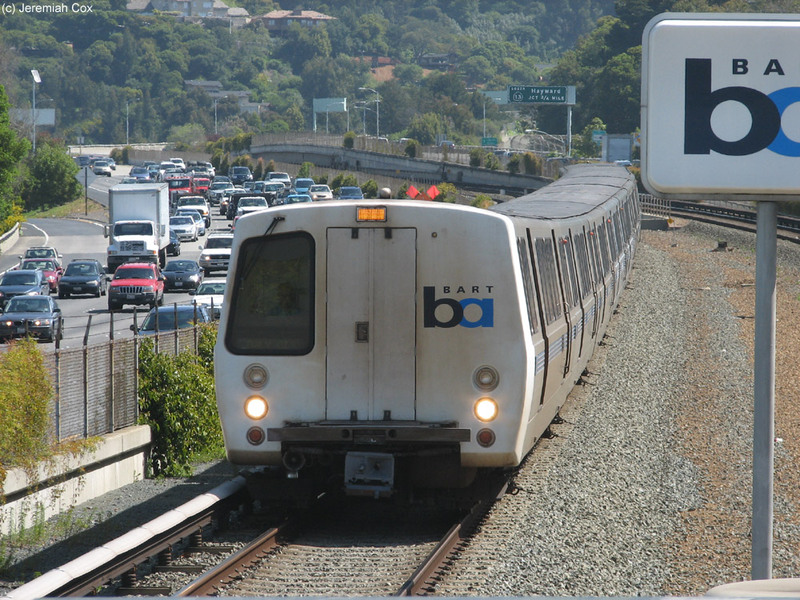 Rockridge is a BART station located in the median of the CA-24 Freeway with a single island platform. 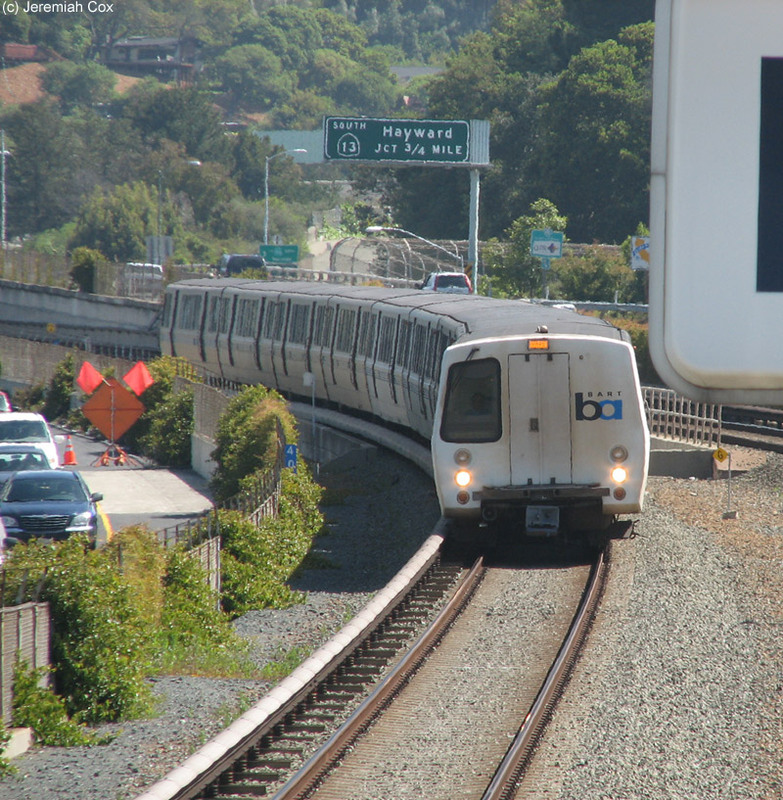 It and the highway are both on elevated concrete guideways above the station's 903 parking spaces that have the freeway and BART passing above the middle of them. 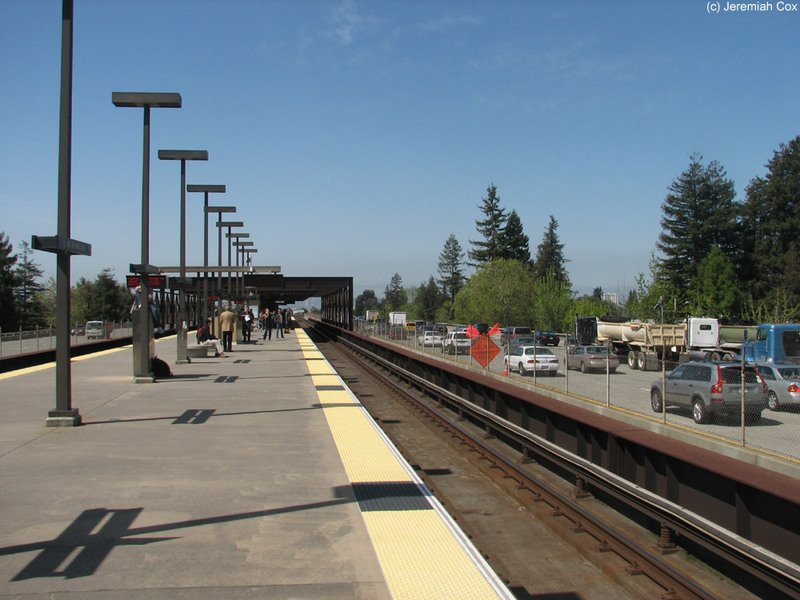 With the freeway and station above the parking lots, the lots have a relatively small footprint in a dense residential neighborhood. 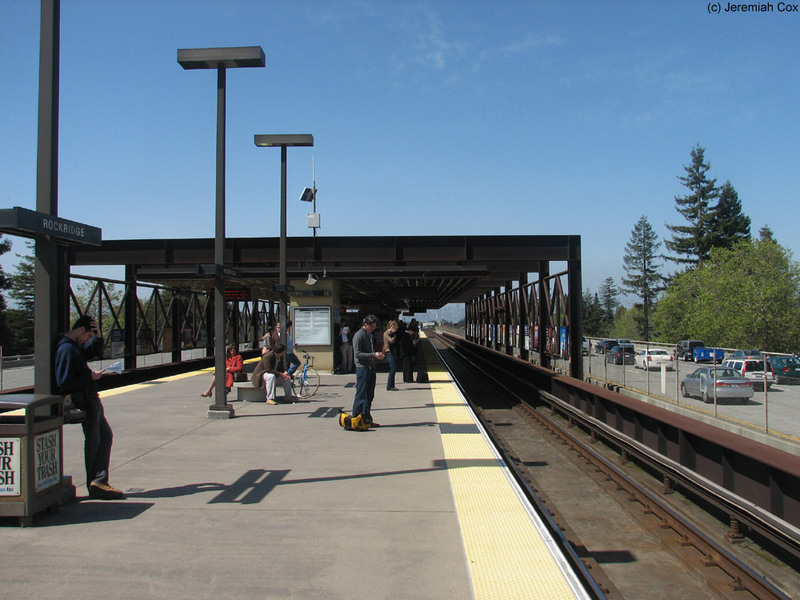 The island platform has the standard box canopy (that wrap around along the outside of the platforms) and covers about a quarter of the platform running south from the middle of the platform. 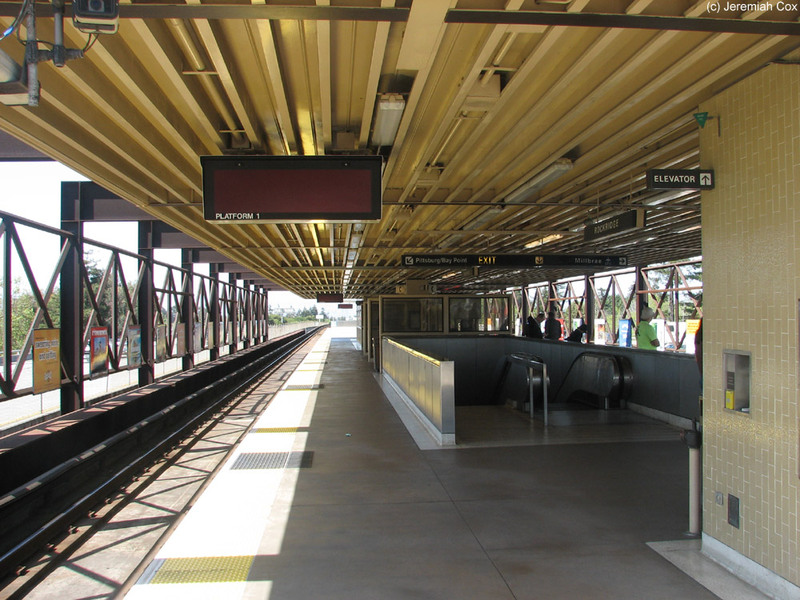 Two escalator/staircases and an elevator lead down to a mezzanine that is just beneath the platform but also elevated. 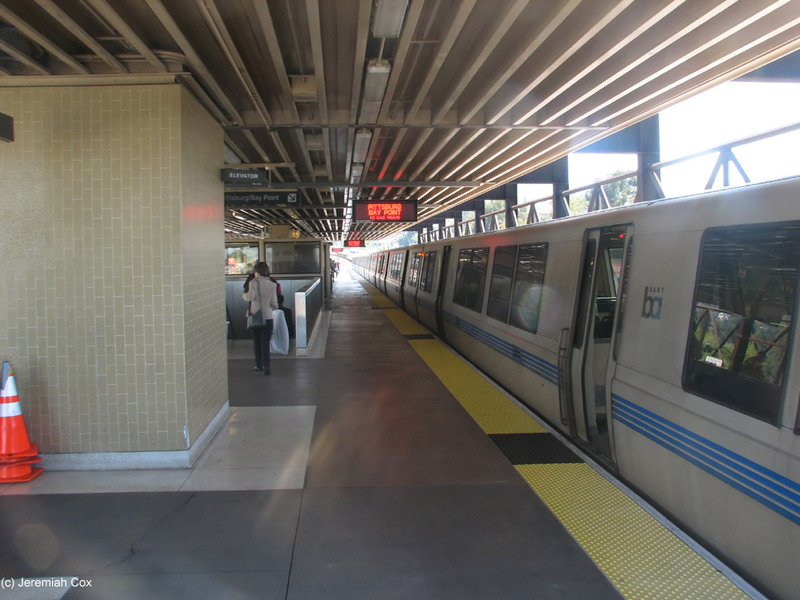 After going through the fare gates staircases lead down to street level, directly under the fare control area is the east side of College Avenue. 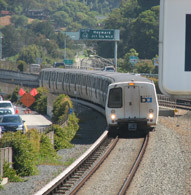 A walkway from the mezzanine leads down to the west side of this street and provides access to the bigger station parking lot that extends long beyond the end of the platforms to Forest Street The elevator connects all three levels of the station and has its own special non-gated BART fare card reader.